Started in 2011 and now completing the first phase of construction, Open House Project is an opportunity for families to come together and live in a self-supportive co-housing community in North Sheffield. 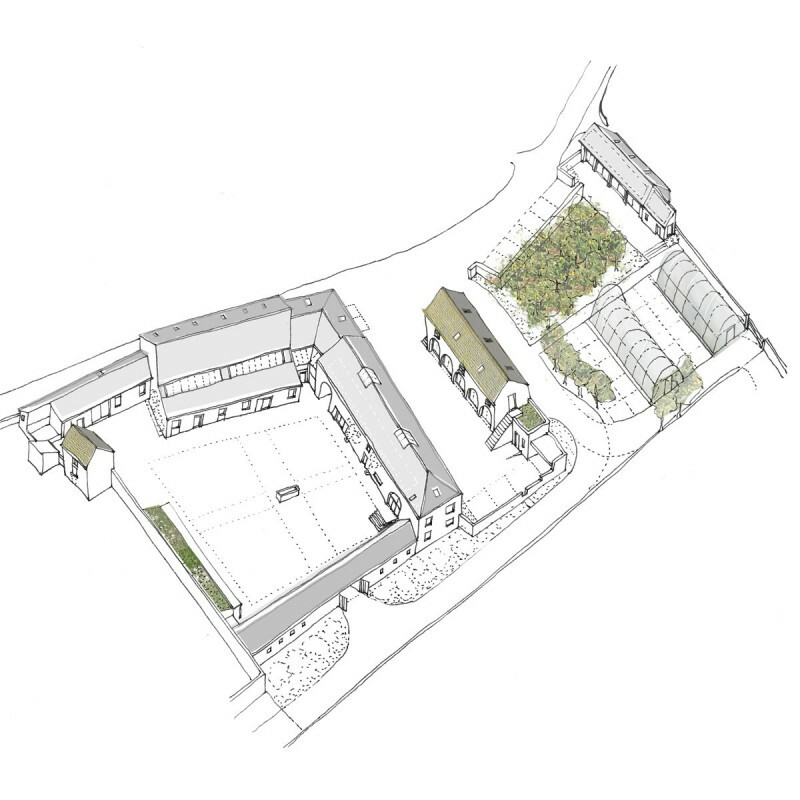 The project aims to convert the historically significant farm buildings into a series of dwellings and shared facilities that are architecturally inspiring and energy efficient, whilst revealing the site’s layers of historical development. As the name suggests, Open House Project aims to be open in its working practices to those who are interested in taking part or learning from the project. As a practice we are supporting and curating this inclusive process. Building a community that is largely self-sufficient in terms of energy, but also offers a range of accessible and useful facilities. The project is a collaborative design endeavour, with the Open House Project team self-building as well as project managing. The design scheme incorporates sustainable infrastructure, through shared growing area and orchard, as well as a district heating system powered by a open loop ground source heating system. The hallmark of the building design is a legible set of details that the group can understand and build, focusing on high levels of insulation, air-tightness and re-appropriation of materials. The aim is to create a community that is largely self-sufficient in terms of energy, but also offers a range of accessible and useful facilities. The buildings at Barnes Hall Farm are of historical significance, with four listed structures including the Cart Shed and Dove Cote. The farm has evolved over 400 years, from a series of timber frame structures to its heyday as a state-of-the-art farm in the 1800’s. The buildings currently exist as a fine set of stone-faced structures in need of repair and renovation.